Parable - If you have to be the local cobbler. 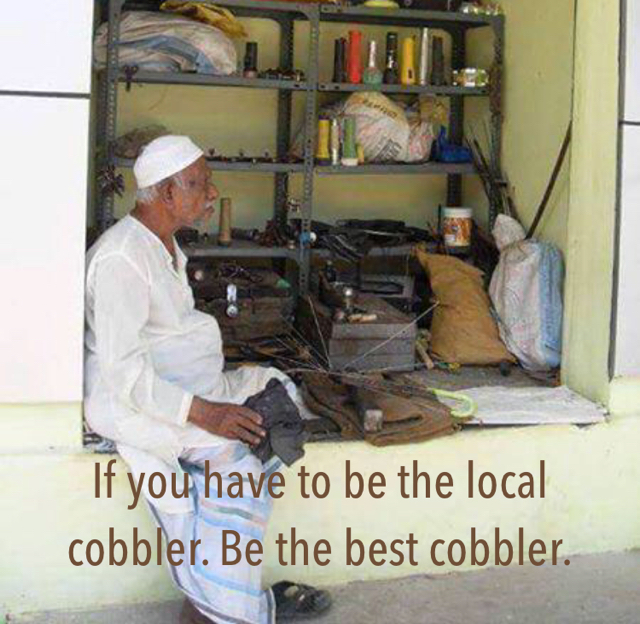 Be the best cobbler. “ If you have to be the local cobbler. Be the best cobbler.” Boman Irani, quoting his grandmother’s advice.